Item number 1374/81 from the MOA: University of British Columbia. 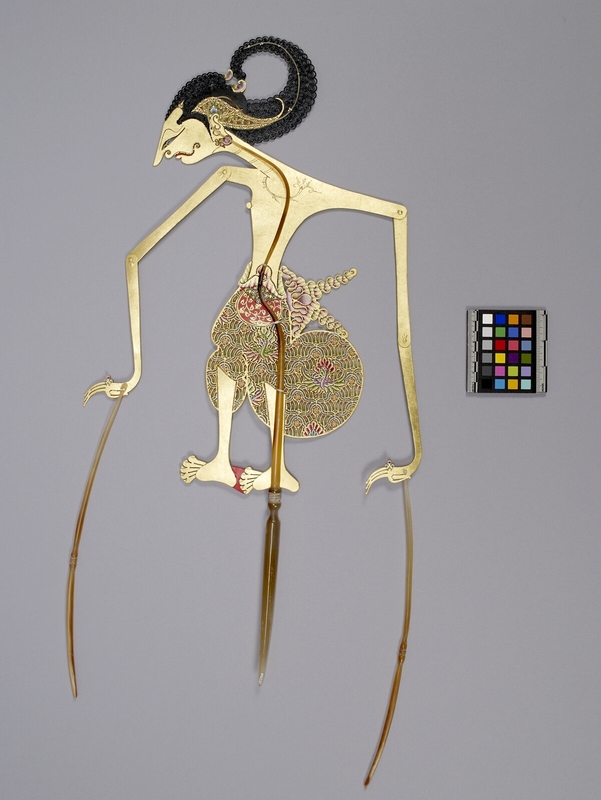 Shadow puppet of male figure with gold face in profile. Long neck with six black lines, projecting out from body. Long nose, open mouth with three teeth. Hair tied into curved plait that joins at top of head with two purple, white, green, gold, yellow and red attachments. Skirt is gold and brightly coloured with bird motif, torso is bare. Hair and skirt finely perforated. Long, jointed arms attached to controlling rods. Each hand has one red and two blue rings. Feet are joined heel to toe by red strip. 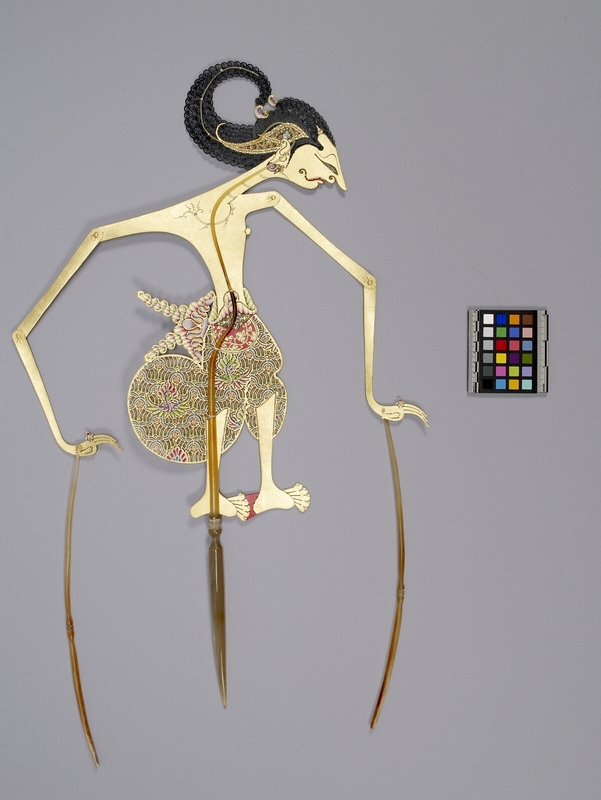 Puppet purchased in Sagio's workshop in Gendeng on the island of Java in September 1989.